Is your car an eyesore? Don’t let it sit while more oil and leaking fluids drip onto Portland streets. Let Cash for Cars Northwest offer you our car removal Portland. There are many benefits to having your car taken away and cash put into your hand. For instance, did you know that having a car sit for a long period could cause it to be labeled as abandoned. You may even be fined. Additionally, as a car sits, those leaking fluids get into Portland’s water ways. They also become home to vermin and insects. 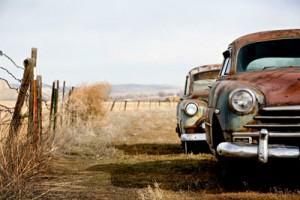 Trying to sell your junk car to a private buyer can be difficult. 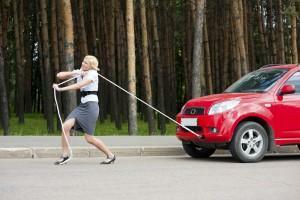 You have to make yourself available for countless calls and emails as well as schedule times to show the vehicle. You have to worry about title transfers, questionable payment methods, and the like. With Cash for Cars we make it easy! We do all the paperwork for you, we handle the car removal for free, and we pay you same-day cash. How does car removal work? When you call Cash for Cars, we start by offering you a quote over the phone. Some car removal companies say one thing, but then change the amount of payment when they arrive. That never happens with us! We have an appraiser on staff to ensure you get the best money for the value of your vehicle. You call and get a friendly person who will tell you how much we can offer for your car, no matter the make, model, or condition. We send someone out to you right away. We have you sign paperwork allowing us to take care of the title and all other related paperwork for you. We hand you cash for your car. We handle the car removal Portland for free. Everything is done in about one to two hours, tops. And that’s it! It’s simply that easy. You get cash, as quoted on the phone, we do the car removal, and your end is done. No waiting, no haggling, no hidden fees! So now you have no excuse to leave that unused, unwanted car sitting around taking up space. Sell your car for cash! Contact Cash for Cars Northwest today for your free car removal Portland, cash-in-hand quote. Portland, Oregon has grown in popularity by leaps and bounds in the past decade. With a motto of “Keep Portland weird,” there is no shortage of uniqueness to the flavor of Portland. From the many homemade crafts at the Portland Saturday Market to food carts with the nearly everything you could ask for available and an annual “Cartathon” to go along with it! As more people visit and even move to Portland, OR, more flavor comes in from all directions!